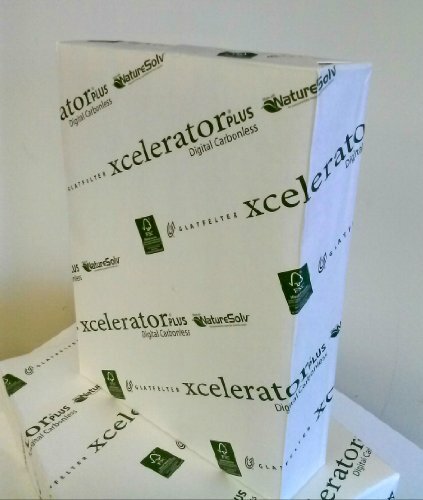 Xcelerator® PLUS Digital Carbonless Designed for use with high-speed digital equipment, Xcelerator® PLUS Digital Carbonless allows you to produce quality, short-run forms-increasing your productivity and profitability. It is now FSC Certified.
. 22lb, 11M, White, Smooth, CFB, 8-1/2 x 11 (). FSC and SFI certified! Smooth, jam-free runnability in digital equipment. If you have any questions about this product by Xcelerator® PLUS Digital Carbonless, contact us by completing and submitting the form below. If you are looking for a specif part number, please include it with your message.